A good friend of mine picked up a very nice 2006 BMW 650i conv. The car was in great mechanical condition with low mileage but was let down a tad by all the swirls and scratches in the paint. The scratches and swirls were so numerous and deep that I knew I would have to use a fairly aggressive approach. I applied the Wolfgang with my GG6 D/A polisher and a yellow CCS pad. The product was very easy to work and after completing a section with 6 passes, the product wiped off really easily and I was stunned by the amount of correction. I performed a second section pass and the defects had all disappeared! What was even more amazing to me was that the finish was so good, with virtually no marring to be found. I had been using Meguiars M105 for heavy correction work and although it is a great product, it always seemed a bit finicky to me and didn't finish down nearly as well as the Wolfgang. The other thing I liked a lot was that it didn't dust too badly. I gave my pad a brush after every two or three sections and dust was a minimal issue. all in all it's a tough product to beat. Super easy application and removal, fast cutting capability, low dusting and it finishes down very well indeed. Here are a few pics before and after compounding. No polishing done, just an IPA wipe down. Really ugly scratches on the bonnet let down the side. Thanks for sharing that! An amazing product indeed that I will certainly try if I come across a car that is that damaged. I was not impressed with the GG Machine Polish 1 for cutting. It dusts like crazy and is way to mild IMO. You do realize that with results like that you are going to work your self into a new job after the word gets out! LOL!! As I'm retired it has become a bit of a hobby along with working on the maintenance of my cars. I've never tried the Griots polish but the M105 is somewhat of a standard bearer in the industry from what I've read and indeed it does work very well. However, the Wolfgang just flat out beats in every category (except price ). The fact that it finishes like a polish is amazing to me. I will try it with an orange pad and it would not surprise me if you could then go directly from compounding straight to your LSP!! In any case I will definitely not bother with an intermediate polish and will just go with a fine polish (Wolfgang Finishing glaze). I think the car will be transformed. Will post some pics when I'm done. Have you detailed and done paint correction on your VDP? Superb transformation, thanks for sharing. I just ordered the 16 oz bottle from AG along with some other goodies as a Christmas present to myself! Beautiful results! It is nice when a product really delivers and makes the job so much easier. I have a question for you. 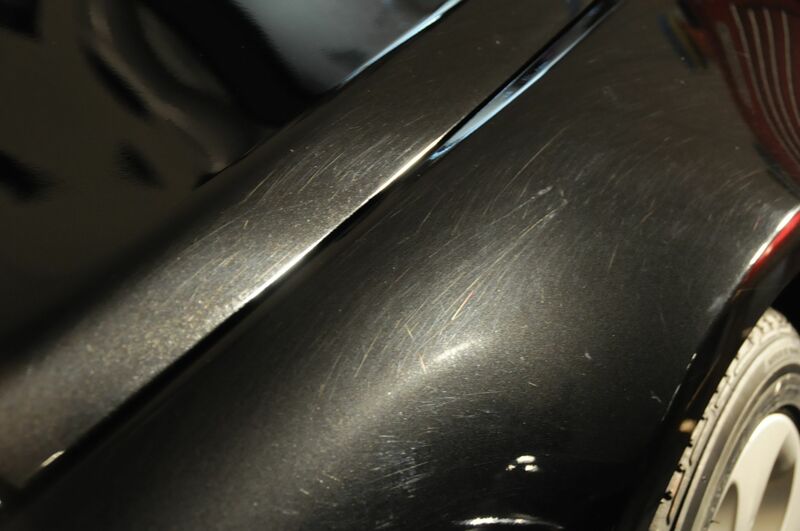 In your posting you had said that this car had some deep and serious scratches, etc.. What would you have used if the scratches and blemishes were not so deep and obvious? Does Wolfgang have a milder compound or polish for dealing with less serious damage? I have been using the Meguiars Ultimate Polish and Ultimate Compound that you can buy in any auto store and I find that I need to work too hard with those products. I have also been using the GG polisher but with a Lake Country orange pad. Is the yellow pad more aggressive? Thanks and have a good Holiday. BTW- up here in New Jersey when it gets cold I have been experimenting with a couple of rinseless/waterless car washes. So far I have used ONR which is mixed with water and Eco Touch which is already pre mixed. I am really careful and have not caused any damage but I find that both products leave like a white haze on paint that is really difficult to get off even with using good micro fibers. I have done this in my garage on fairly cold days when humidity was high. Someone on another forum suggested that when I wipe the car down to dry that I use a dampened cloth instead of a dry cloth. Do you have any experience with these kinds of washes? Thanks again. 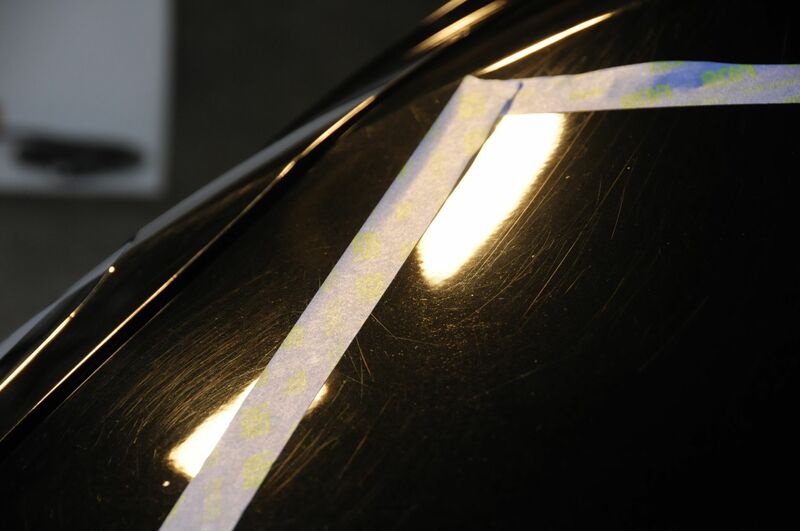 In your posting you had said that this car had some deep and serious scratches, etc.. What would you have used if the scratches and blemishes were not so deep and obvious? Does Wolfgang have a milder compound or polish for dealing with less serious damage? Yes, Wolfgang has a light cutting compound called Total Swirl Remover 3.0 that works well for swirl marks and light scratches. As you should always use the least aggressive method to remove defects, this would be a good place to start and then move up to a more aggressive compound if necessary. 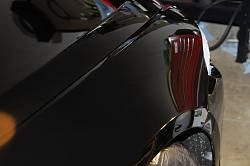 I have been using the Meguiars Ultimate Polish and Ultimate Compound that you can buy in any auto store and I find that I need to work too hard with those products. I have also been using the GG polisher but with a Lake Country orange pad. Is the yellow pad more aggressive?. I think the Meguiars UP and UC are excellent products. The UC it seems to me has a little less cut than the uber compound but will certainly work very well for most swirls and scratches. Yes the yellow pad is more aggressive than the orange and will provide more cut. The level of cut is also significantly affected by technique. So rotational speed, pressure, number of passes and arm speed are all critical. As a newbie I found that I initially used too low a speed on my GG6, too little pressure on the pad and too fast an arm speed. This combination will significantly reduce your cutting ability and that means more work!!. You really do need to use at least speed 5 on the GG, 6 is even better. Also, I put my GG6 on the bathroom scales and practiced what putting 20-25 lbs of pressure on felt like. During use, I constantly reminded myself to slow down my arm speed. You really want to creep along the surface so that the compound and pad can do their magic. 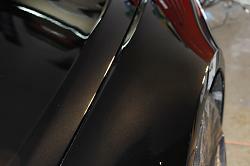 BTW- up here in New Jersey when it gets cold I have been experimenting with a couple of rinseless/waterless car washes. So far I have used ONR which is mixed with water and Eco Touch which is already pre mixed. I am really careful and have not caused any damage but I find that both products leave like a white haze on paint that is really difficult to get off even with using good micro fibers. I have done this in my garage on fairly cold days when humidity was high. Someone on another forum suggested that when I wipe the car down to dry that I use a dampened cloth instead of a dry cloth. Do you have any experience with these kinds of washes? I have and still do use ONR for certain things and it is a very good product. I have never experienced it clouding, I'm not sure how it performs at very cold temps though. Most of the detailing products I've seen seem to be designed to work best at 60-80F. I'm sure using them at 50F is no problem but if your temps are say around freezing that may throw a wrench in the process. If you have some clouding, you might try mixing up some ONR at detailing strength and spray that on the area and gently wipe off. My process for using rinseless washes is to put about 2 gallons of distilled water in a bucket with the appropriate amount of RW concentrate (I really like the Pinnacle product). I then put about 12-15 mf towels folded in four into the bucket to let them soak in the solution. I then take out two of the towels and wring them out as much as possible to use as the initial drying towels. 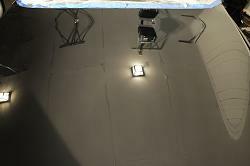 To wash a panel, I spray the area first with a light mist of waterless wash, then taking a wet towel from the bucket, I make one straight, continuous wipe along the panel, rolling the towel with my hand as I wipe. After each wipe I flip the towel to a new side and do another overlapping wipe. Once I have used all the sides of the towel (one wipe per side) I toss the towel in an empty bucket and then take one of the wrung out towels and use that to wipe over the washed area to dry it. Finally I follow up with a dry, soft, thick mf towel to buff the area. I then move on to the next panel with a new wet towel. I have found that this technique works really well provided the car is not too dirty and gives you the least possibility for instilling swirls. If you have caked on mud for instance you would want to wash the car with a spray hose first to knock off most of the dirt. I used the Wolfgang UC on my B pillars and followed it up with Chemical Guys V36, and then V38. They look better than new! Completely flawless! Be warned it seemed to me that the clearcoat was softer here then the rest of the car. Wolfgang products are the best I have ever used. Have not used their compound but, have used the swirl remover (with orange pads) and the finishing glaze. Outstanding results and easy to use! As others have said it ain't cheap but, if you want incredible results pay the price. Cold Air Intake, Was it Worth The Trouble? Quick Reply: Wolfgang Über Compound - All I can say is WOW!! !